If you tried flashing your Samsung phone with odin and you are getting error messages or experiencing different problems, this post is for you. Today i am going to show you different solutions to common odin errors when flashing your phones. The methods and solutions listed and described in this post is the collection of different people's opinion/fix around the internet. You can try the solutions and see if it will fix the error. Download a new Odin tar firmware in zip format and try flashing your samsung again. If the above solutions doesn't work then it might be an hardware problem with your phone.Your phone eMMC chip might be broken, and Odin will not be able to initiate the flash procedure. This safest option is to take your phone to a qualified repair center or engineer. The phone is actually functional only the display is blank. So imagine that your display is broken and try to boot into download mode. once you are confident enough that you are in the download mode press vol up and then it should show up on Odin. after this point you just need to flash the stock firmware with odin. Make sure re-partition and auto reboot is not tick and flash again. after flashing is complete reboot your phone into recovery, wipe cache and do a factory reset. Try using and old version of odin e.g version 3.0.7 then download firmware that has the PDA,MODEM,and CSC file in part (not a single tar firmware). Then flash it again and see if this solve your problem. 1. After flashing the stock firmware through Odin and ending up with the error message, take off the battery and put it back again. 2. Hold the Volume down + Home + Power keys simultaneously to boot into Download mode. 3. Start the Odin program on your computer and connect your phone. It will still recognize it, so don't worry about that. 4. Now download the CWM Recovery or any other custom recovery package for your specific model. 5. In the PDA field, select the CWM Recovery .tar.md5 file and click on Start to flash the custom recovery. 7. Now don't do anything but just choose reboot system now. 8. It should tell you that some package is missing and that it wants to install it, choose Yes . 9. Next, it may ask for root, so once again choose Yes . 10. Finally, your phone should reboot and your firmware should be working properly. In case the phone reboots back into CWM Recovery instead, just choose reboot system now again and this time it should boot normally. 3. File did not originally had the md5 hash and was just renamed from .tar to .tar.md5. If the file is corrupt: You should try to get a different file and should not take the risk of flashing a corrupt file on your device. It’s recommended to download the files from reliable sources. If file was not downloaded properly: Sometimes it happens that the download process gets interrupted before its complete. You should check the file size on source location and on your disk. Both should be the same. If file failed to download properly, download it again. If the file was renamed from .tar to .tar.md5: This should raise the alarm bells. In this case, the file provider just renamed a .tar file to .tar.md5 file. That’s why the Odin threw the invalid md5 hash error. If you remove .md5 from the file and rename it back to .tar, it will work alright. However, you should not risk it with a suspicious file. We’d recommend you to get a different file instead. Are you sure that the ROM you downloaded isn't corrupt? You can test to see if a file is corrupt by comparing its md5 signature to the one on the server. Ask the ROM uploader if they can help. Otherwise, it may be that the boot loader is utterly incompatible with your phone. You can't just put ROMs from other Samsung phones in to ODIN and think that it will work if that is the case. If you are sure that your download file is complete, remove .md5 by renaming it. Try flashing afterwards, it wont calculate the checksum again. If you can still get into your recovery module (TWRP in my case), then you can use a micro-sd card to flash a custom Rom onto the device. Try to enter into your settings and de-activate "Reactivation Lock Security". Reactivation lock might be the main cause of the problem, many users has report success only after disabling it. 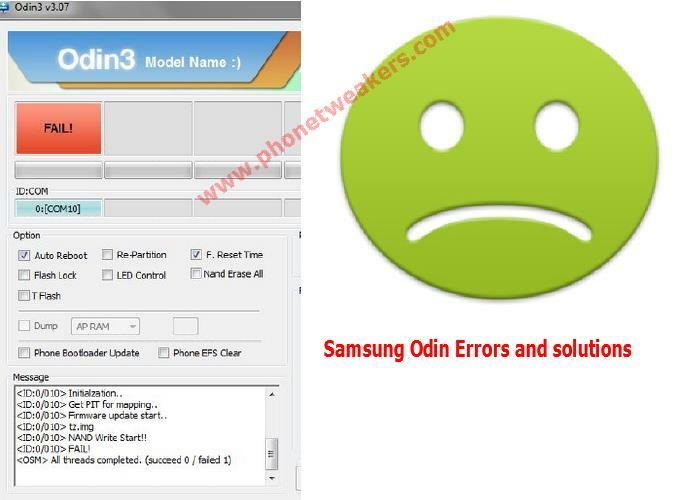 These errors indicate that the phone cannot use the ROM provided (via Samsung’s ODIN loader) because the ROM is either not legitimate or is a version prior to the one currently installed. if you’ve flashed a ROM or stock firmware that e.g Android 4.4.2 (KitKat), you will not be able to revert back to an earlier version (such as Android 4.2.2). The solution is to find and download the latest original stock Firmware/ROM for your current phone version.